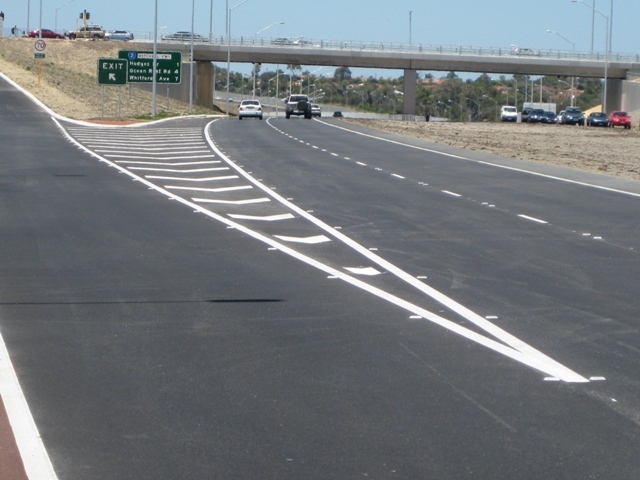 Hot applied thermoplastic is used for road markings on asphalt and bituminous surfaces and possesses a high certified lifetime of up to 48 months, or one million wheel rollovers. Hot applied thermoplastics create an anti-skid (high SRT coefficient) surface due to its roughness. They also have a high resistance to atmospheric agents and good retro-reflection, through the incorporation of specially treated glass beads. 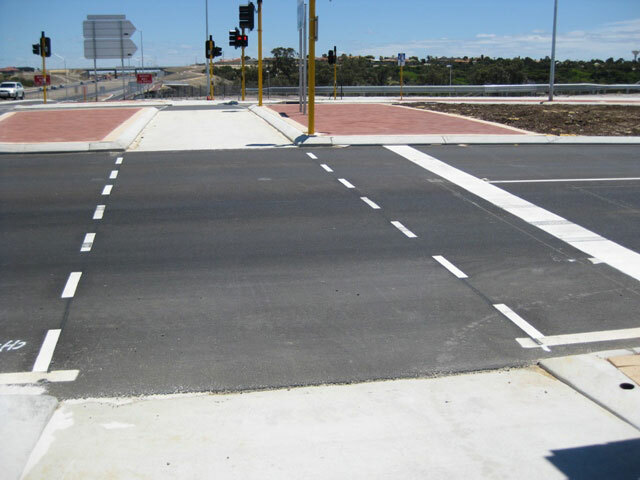 This makes them an ideal long-lasting solution, particularly in areas with high traffic and extreme weather. Hot-applied thermoplastic is heated to around 200°C on application, but cools and sets in just a few minutes. This is particularly useful for application in built-up areas as the road can become trafficable within a short period of time, causing minimum disruption to road users. Via a hot melt machine, molten material is fed into screed boots that can be adjusted to the required line thickness and width. Managing the flow of the material also affects the thickness. The product is forced through a chamber by an extrusion screw and onto the road in a well-defined thermoplastic line. 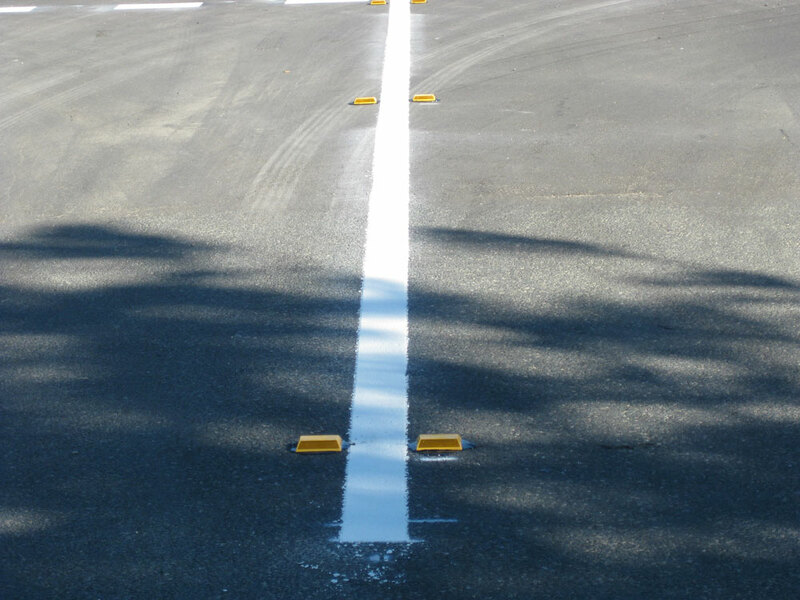 The product is sprayed onto the roadway, in the form of fine droplets, using air-assisted or airless technology (which results in better definition of the stripe, more secure bonding to the roadway and high-speed applications). This product is not used in Western Australia due to MRWA specifications. ILM manufacture Preform Thermo-plastics to client requirements. These are hand-cut, or for more complex patterns and shapes, they are cut using our computerised router.